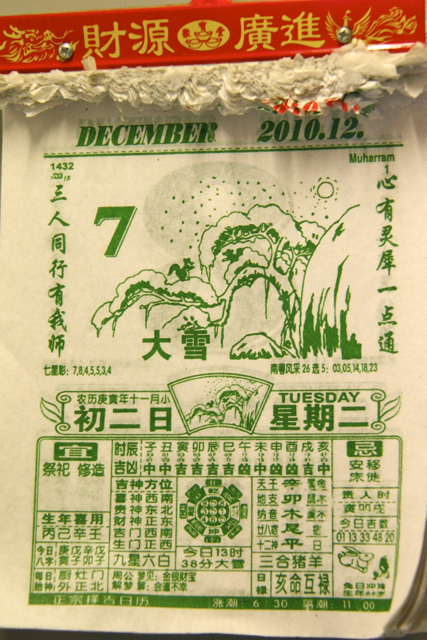 Shops in China must be the envy of retailers everywhere, because their festive season runs straight from Christmas, through the western New Year, and all the way to the big cash kahuna, Chinese New Year, in early February. A three month buying bonanza!! $$$!!! Tricky for shop window decorations though. The majority of stores think it best to have a sort of secular celebration theme without any overt stable and manger references. No-one would have a clue what it means anyway. This usually equates to a cheerful red and gold theme, with Christmas trees festooned with money bags and symbols of prosperity. Fish and the like. Others....well others can't quite decide how to successfully combine the two, and opt for either Christmas, or Chinese New Year, but not both. Which is quite fair enough and easier to pull off. Still others go off on some psychedelic acid tangent that is meaningful only to themselves. 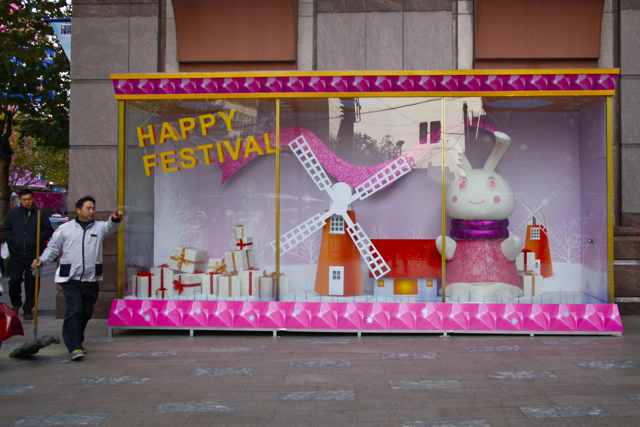 Take this cracker of a window, on Shanghai's main shopping street, Huai Hai Lu, for example. The gifts, OK, Christmas time, gifts, yes, very understandable. And next Chinese New Year will be the Year of the Rabbit. So I get the rabbit, too, I really do, even though it has freaky pink eyes and that blank zombie look as it stretches out its evil stubby arms towards you. And the metallic inflatable kiddie pool around its neck looks very uncomfortable. But would someone please explain the windmill?? Would they?